SIX hours after this hacking was reported by Newswire Fiji, Café Pacific checked and found these Fiji websites still "defaced, offline or under repair ..."
Websites belonging to the Republic of Fiji Military Force (RFMF), Fiji Police Force and the Immigration Department were today “defaced” apparently by a Kurdish hacker known for his anti-ISIS views. 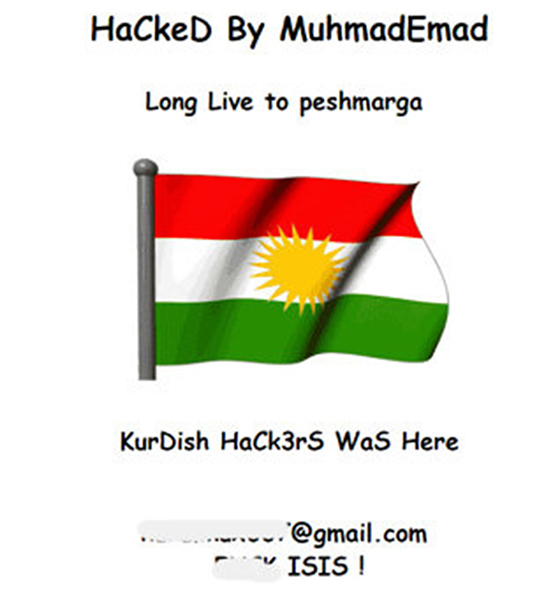 In the attack, MuhmadEmad uploaded a picture of the Kurdish flag along with the words, “KurDish HaCkerS WaS Here” and “HaCKeD by MuhmadEmad, Long Live to peshmarga.” This was a reference to the Kurdish army of Peshmerga, which has been fighting to defend its homeland from the so-called Islamic State force based in Iraq. Fiji police spokesperson Inspector Josaia Weicavu said the force was aware of the hack and was working to rectify it. An RFMF spokesperson was unaware of the incident when contacted, but said he would look into the issue.